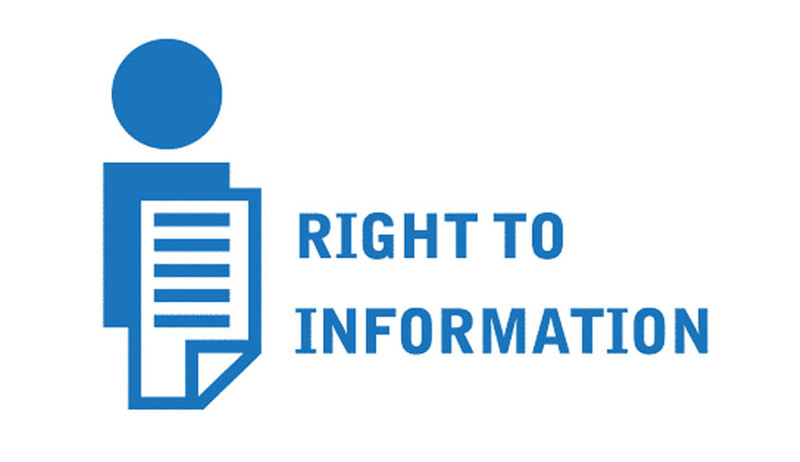 The Central Information Commissioner Sridhar Acharyulu held that RTI cannot be used to run counter or parallel inquiry against inquiring officials. Appellant Mukesh Sharma sought 8 point information about Sh. B.P Nigam viz. in which depot he has been appointed as a Dy Manager in 1985, 1988, 1991, 1992, 2003 & 2007; how many employees have been suspended by him, wherever he has been a DM, no. of employees employed during his tenure etc. The CIC found on 14th Jan 2015, that appellant has, instead of attending the inquiry and defending his case, perpetuating the mischief of using the RTI for advancing his personal vegeance against officers or others involved in inquiry. Prof. Sridhar Acharyulu observed: Every employee has rights to secure his employment but also has duties to perform the job without resorting to misconduct or any other irregularity. The employee also has right to get the copy of complaint, notice, charge sheet and every piece of paper which is relied on against him. He should get the opportunity also to defend himself. At the end he should also get the copy of enquiry report/order/judgment or sentence pronounced along with right of appeal. He has all rights as per principles of natural justice and if there is any lapse, or suppression of information or document or non-supply of papers relied on by the disciplinary authority, he can seek them from the inquiry officer or authority, if not, he can get them under RTI Act, Though an employee facing disciplinary charges as explained above the accused employee does not have any moral or legal right to file plethora of RTI applications seeking information not related to allegation against him, but to harass the officers who he suspect to have complained or gave evidence or provided information or taken action against him, if done so it becomes misuse and that cannot be encouraged. The public interest is an overriding factor in these cases also as per the provisions of Right to Information Act, 2005. If such multiple RTI actions are allowed the officers at higher level will lose moral authority to initiate action against erring employees and whole system system of disciplined administration would crumble. In contra, there is a huge public interest in taking action against the wrongdoing employees. Here in this case, the appellant is not even trying to protect his personal right, or right to employment or right to fair trial. But he is unleashing his private vengeance against colleagues or seniors who are either inquiring or informing or complaining or giving evidence against him. Such information would squarely fall under exempted category as per Section 8(h) (‘information which would impede process of investigation or prosecution of offenders’) of RTI Act, 2005 as this would not only impede the investigation or inquiry against him, but also impede the inquiries against all such erring employees who will be immorally encouraged or tempted to use RTI for this private, illegal and vengeful purpose. The RTI is not a rendezvous for suspended employees or those erring personnel facing inquiries to serve their personal interests in protecting their misconduct or preventing the authorities from proceeding with penal proceedings enquiring into misconduct. The RTI is not for these disgruntled employees facing disciplinary proceedings or selfish persons but for the people in general, only in public interest, and never for the private vengeance at all. If this kind of misuse is not checked, and officers will be threatened, demoralized and prevented from proceeding against employees facing charges misconduct. None would complain/inform/give evidence or no authority would gather courage to initiate enquiry against erring employees even if law authorizes them, prescribes it as a duty and situation demands. Such a situation will lead to chaos in administration. In order to check the misuse of RTI for running a parallel or counter enquiry against inquiring officers, this application deserves to be rejected and the appellant, admonished. Considiring this as another case of misuse of RTI Act by the suspended employees who are trying to take vengenace against the Inquiry officer or officers by instituting a parallel or counter interrogatory questionnaire through multiple questions, the Commisison held that sufficient information has been given to the appellant in both the appeals and warns the appellant not to file RTI applications as a counter-measure to inquiry against him. If any such RTI application is filed in future by him or by anybody on this subject, the DTC shall refer to this order and reject the same. The Commission directed that this order has to be prominently displayed in the website and at any conspicuous place in the office under the caption of ‘misuse’ red in color.